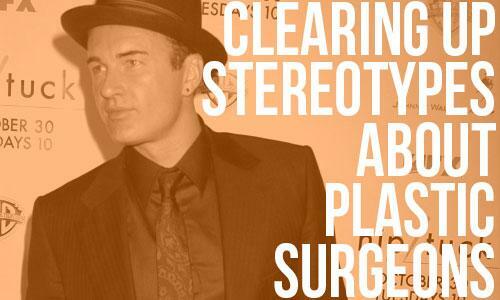 Can Social Media Sites Help You Find a Plastic Surgeon? Websites like Facebook and Twitter have changed the world. They’ve become everyday tools, used for socializing, working, advertising, and more. Can they help you find a plastic surgeon? Maybe. Any type of research can help you find a good doctor, as long as you can determine that they are board certified, and specialize in the procedure you want. This information should be available on the doctor’s website. But the more subtle things, like personality, bedside manner, and his or her approach to follow-up treatment, may not be apparent on the website, and that’s where Facebook and Twitter can shed some light. More and more plastic surgeons are building a presence on social media, where they update their status, answer patient questions, and share studies and interesting details about plastic surgery. As Dr. David Reath says: Social media is one of the greatest things that’s come along in terms of allowing a prospective patient to get to know their doctor before they walk into an examining room.” So before you set up a consultation with a Seattle plastic surgeon, check and see if he or she has a Facebook page. If so, peruse it and try and glean what they might be like and if they’re a good fit for you. But if a doctor doesn’t have a Facebook page, don’t discount them; social media is just one convenient way to get to know your doctor. After completing a review of nearly 100 clinical trials and research studies, one doctor has shared his findings of the best cosmetic surgery procedures, according to Northwestern University. Though the term “best cosmetic surgery procedures” may seem subjective, hundreds, if not thousands, of research studies and trials are conducted each year on procedures and non-surgical treatments. Researchers are often on the lookout for treatments that provide optimal results, with minimal side effects for the patient. The better the results of the study, the more likely the product or treatment may be included among the best cosmetic surgery procedures. In his review of 98 studies, Dr. Murad Alam of Northwestern University Feinberg School of Medicine and surgeon at Northwestern Memorial Hospital found the best cosmetic surgery procedures, based on his research. Dr. Alam said that based on the two decades of research and findings on Botox-like treatments, they are safe and effective for patients to use. When tumescent liposuction is performed, special fluids that are used help the surgeon to safely remove fat cells. Dr. Alam added that tumescent liposuction minimizes the chance for excessive bleeding, improving the patient’s comfort and overall health and safety. Dr. Alam looked into additional treatments, some of which are relatively new on the market. While he found that treatments that freeze fat or shrink it with laser light, and treatments that tighten skin are safe for use, he was not able to confirm the long-term benefits of each treatment. To find the best cosmetic surgery procedures for you, Alam suggests talking it over with your surgeon and confirming what will best meet your needs. For more about the best cosmetic surgery procedures in Seattle, please email Dr. Jonov. The American Society of Plastic Surgeons presents Patients of Courage 2011. The stories documented here recognize four inspirational people whose lives have been changed by reconstructive surgery. They are now working to help others in need. During the ASPS meeting in in Denver this year, they were recognized and served as ambassadors for all Patients of Courage nominees. The 2011 honorees are Aaron Mankin, Dee Dee Ricks, Jamie Verdi and Dallas Wiens. Olivia Ward lost 129 pounds on the Biggest Loser program, and turned to Dr. Jennifer Walden for body contouring with a tummy tuck and breast lift. In this KXAN news segment, Dr. Walden talks about plastic surgery and how it worked to address the problems faced by the contestant. She says she performed a tummy tuck and breast lift to complete Ward’s transformation, removing the redundant skin and soft tissue. During the tummy tuck, the doctor lifts up the abdominal skin, removes the apron of extra skin and then tightens the stretched abdominal muscles. To address deflation and loose skin in the breasts, she performed a breast lift. After achieving weight loss success on “The Biggest Loser,” loose, excess skin is a common problem for contestants because they lose a large amount of weight in a short amount of time. The skin redundancy causes irritation, issues with the fit of clothing, as well as cosmetic concerns. After weight loss, body contouring is a form of reconstructive surgery, Dr. Walden explains. Read more about body contouring in Seattle. A plastic surgeon’s technique combining liposuction with the tummy tuck has been shown to reduce the risk of a post-operative problem called seroma. A study in the October issue of Plastic and Reconstructive Surgery documents the technique, which “helps avoid seroma without the need to place a drain after the abdominoplasty procedure,” according to the ASPS. A relatively common problem that occurs after tummy tuck surgery, seroma can occur when wound fluid accumulates after surgery. According to previous studies, the rate of seroma varies widely, ranging from 1 percent of tummy tuck patients to 50 percent. They develop weeks after the tummy tuck, and the typical solution is to place a surgical drain that removes the fluid buildup. Because of infection risk and discomfort, a drain is not considered the ideal solution to this problem. That’s why plastic surgeons at Florida State University worked to develop a liposuction technique that would prevent seroma after tummy tuck â?? without needing a drain. Over a period of 6 years, they performed the technique in 113 tummy tuck patients. With an extended incision, they performed liposuction that removed fat while improving blood flow the the skin above the tummy tuck incision. Using progressive tension sutures, the surgeons were able to minimize the space beneath the skin, where fluid might accumulate. Only 8.8 percent of patients developed seroma after their tummy tuck, rate that is “similar if not better than those reported in the literature, and the lack of drains decreases sources of infection and irritation to the patient,” the authors report. The authors say they believe that the technique can control the risks of seroma after tummy tuck surgery, while also improving the aesthetic outcome. Not only can plastic surgery improve the way you look, but a new study shows it can actually have a long-term positive impact on the way you feel about yourself. The study, which was published by the ASPS, examined the psychology of plastic surgery on a group of Norwegian patients over five years. While most studies on the psychology of plastic surgery only examine a short timespan, this study aimed to learn about the lasting effects. For the study, 130 Norwegian women took a questionnaire both prior to and following plastic surgery. These questionnaires intended to find out about the patients’ psychological state, satisfaction with appearance, level of self-esteem and how they felt about the results of the surgery. The data was compared with a sample of more than 800 Norwegian women. After analyzing the data, the team found positive results. Five years after undergoing their respective plastic surgery procedures, the women were pleased with the body part operated on and happy with their overall appearance. Some of the women also showed a small increase in self-esteem. Patients who had psychological problems including low self-esteem prior to surgery did not exhibit the same improvement, however. These positive findings on the psychology of plastic surgery are welcomed news for patients and plastic surgeons alike. Many patients in a positive psychological state before surgery can look forward to long-term satisfaction with the outcome. Likewise, plastic surgeons who have determined a patient is fit for surgery will experience the benefits, as well. To find out more about the transformative effects plastic surgery can have, please join our mailing list or contact Seattle cosmetic surgeon Dr. Jonov.